Mel Gibson is back in a big way. After taking a break from directing for over a decad, he is back with his real-life war drama Hacksaw Ridge. He is already planning another project, which will be a sequel to one of the most successful movies in his career. The director has plans to make Passion of the Christ 2, which we know will simply be called Resurrection. Not only that, but it sounds like part of the movie will actually take place in hell. The Braveheart director made an appearance on The Late Show With Stephen Colbert recently to promote Hacksaw Ridge. During the course of the interview, Colbert got him to talk about Resurrection a bit. Not only did he confirm the title, but he also heavily implied that part of the movie will be taking place in hell. He first said that the villains of the movie "are in another realm." Stephen Colbert then pressed the matter, asking "Wow, so you would actually do a little Inferno?" To which Mel Gibson replied "I'm not sure. But it's worth thinking about, isn't it?" He elaborated a bit more, saying that the movie will explore what happened in the three-day period between the death of Jesus and his return. "Sure, you're going all over the place. What happened in three days?... I'm not sure, but it's worth thinking about. Get your imagination going." In the beginning of the interview, Stephen Colbert joked that there may not be much of a story to tell in Passion of the Christ 2, but Mel Gibson made it very clear that he has thought this out and that he feels there is a very legitimate story to be told. He also revealed that the movie is probably about three years away, because it is such a massive undertaking. Aside from maybe taking place partially in Hell, Mel Gibson talked a bit more about what Resurrection will be. Here is what he had to say. "It's more than a single event, it's an amazing event. And to underpin that with the things around it is really the story, to enlighten what that means. It's not just about the event; it's not just some chronological telling of just that event. That could be boring, and you think, 'Oh, we read that.'... But what are the other things around it that happened?" It was revealed earlier this year that Passion of the Christ 2 was in the works. The project has yet to find a distributor or financing of any kind, but if Hacksaw Ridge turns out to be the hit that it is shaping up to be, that could change overnight. Screenwriter Randall Wallace is returning for the sequel has well, having worked on the original with Mel Gibson. 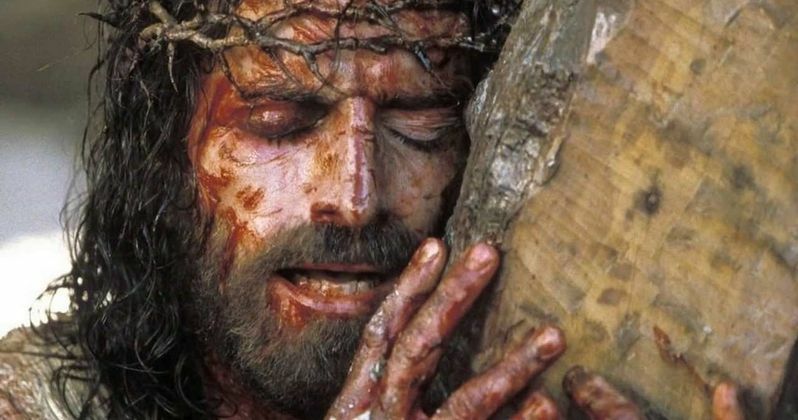 The Passion of the Christ remains one of the most successful R-rated movies ever made, having grossed $612 million worldwide from a $30 million production budget. So if Mel Gibson is able to get his good name back, studios will probably salivate at the chance to team up with the Oscar winner for Resurrection. Mel Gibson has been sidelined in Hollywood for quite some time now, relegated mostly to taking roles in smaller movies, and avoiding directing altogether. There has been a ton of positive buzz around his latest movie Hacksaw Ridge, a war movie which features Andrew Garfield that is the first feature Gibson has directed since Apocalypto in 2006. He also recently starred in Blood Father, a return to action movies for him, which was also well liked. We very well could be seeing a massive career resurrection for Mel Gibson happening, so it sort of seems fitting that The Resurrection may be his next movie. You can check out the clip from The Late Show With Stephen Colbert for yourself below.